With the falling price of technology and both federal and state level incentives available, there really has never been a better time to go solar. However, navigating government rebates for solar can be challenging so we have put together information currently available on both the Victorian Solar Homes subsidy and all other available incentives. On 19 August 2018, the Andrews' Labor Government announced their investment of $68 million to launch the Solar Homes program, subsidising the installation of solar on 25,000 households. Victorian homeowners who installed solar on or after Sunday 19 August may be eligible for 50% off the cost of their system, up to a maximum of $2,225. 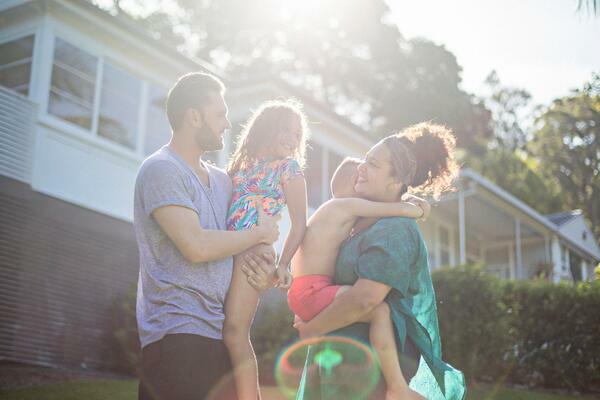 If the Andrews' government are re-elected in November, an additional interest free loan of up to $2,225 will be available from 1 July 2019, to pay off the remainder of the system cost and the subsidy may become available for an additional 625,000 households. The Solar Homes rebate is calculated after the STC rebate has been taken into account. Rebates will initially be paid directly to households, however Solar Victoria has plans to develop a system for installers to include the rebate in their invoices as an upfront discount...watch this space. Owner-occupiers of a primary residence valued at under $3 million and combined Taxable Income of less than $180,000 per annum (based on the 2017-18 tax assessment notices for the home owners and your Council rates notice) are eligible. You must not already have a solar PV system installed on your property. Eligible systems must be installed by a Clean Energy Council accredited installer, using Clean Energy Council approved solar products. We recommend you also use a Clean Energy Council accredited retailer, such as eko energy. Customers who signed a solar contract before Sunday 19 August, but have not yet had their solar installed can apply for the subsidy by clicking here. You can find more information about eligibility at solar.vic.gov.au. Once registered with solar.vic.gov.au, customers will receive updates and details on the application process. You can also register to receive updates from eko energy and you'll be the first to know as soon as new information becomes available. eko energy will provide the above paperwork as part of our post-installation process but it is the responsibility of the customer to apply for the subsidy. Even if you have not yet signed a contract with a solar provider, you can still register your interest with solar.vic.gov.au and check your eligibility and receive information in anticipation as the subsidy will be provided on a first in, best dressed basis. If you are exporting excess solar generation to the grid, you can earn additional savings through feed-in tariffs. The single-rate minimum in Victoria is currently 9.9c/kWh but as of 1 July 2018, some retailers may also offer you a time-varying feed-in tariff. Navigating ever-changing feed-in tariffs can be confusing, but thanks to changes that came in on 1 July, Victorian can potentially save more with solar + battery storage systems and time-varying feed-in tariffs. We are offering customers the opportunity to install up to 6.4kW of solar PLUS 4.8kWh Redback storage for just $10,597 inc. GST (only $8,372 after the Solar Homes rebate!). All solar PV installations <100kW are still eligible for federal small-scale technology certificates (STCs). However, STCs are being phased out by 2030 and as a result, the amount you can claim reduces by 6.5% at the start of each calendar year. To ensure you have access the best available subsidies, we recommend signing a contract with a solar provider before the end of September to guarantee installation before the end of the year. Currently, the STC rebate represents a saving of between 20-30% off the total cost of a solar system. It's important to note that the new Solar Homes rebate is in addition to STC rebates - excellent news for Victorians! How is the date of installation determined? The date of installation is defined as the date of installation as evidenced on the installers invoice. Installation does not include connection to the grid. Does Eko Energy meet the installer requirements? Eko Energy is a Clean Energy Council approved solar retailer and only use Clean Energy Council accredited installers. We have confirmation from all our installers that they meet the Worksafe requirements (no claims in the last 3 years). Where do I register for Solar Homes? You must register your interest at solar.vic.gov.au. It is the responsibility of the customer to determine their own eligibility and register to receive the new subsidy. As the first stage of the program is for 25,000 homes only, we highly recommend registering as soon as possible. We are already experiencing a higher volume of enquiries and it is likely that Victorian solar installers (including Jim's Energy) will quickly reach capacity. We encourage customers to avoid postponing their decision as this may significantly delay your installation.